Dr Molefi Motuku is the new Chief Executive Officer of Mintek effective 01 January 2019. He re-joins Mintek with a strong track record of over 20 years in research and development, technology innovation, leadership and management. Prior to this appointment, he served as Group Executive for Research and Development at the Council for Scientific and Industrial Research (CSIR). He held roles of CEO at the National Metrology Institute of South Africa (NMISA) and acting CEO for CSIR. 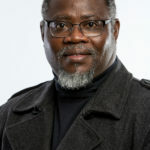 He was the General Manager for Research and Development at Mintek from 2005 to 2010 and a Manager in the Physical Division, (now renamed Advanced Materials Division) and a Director of Fort Hare Institute of Technology. Motuku holds PhD and MSc degrees in Materials Engineering from the University of Alabama at Birmingham, USA and a BSc in Mechanical Engineering, and BSc Physics from Tuskegee University, Tuskegee, USA.